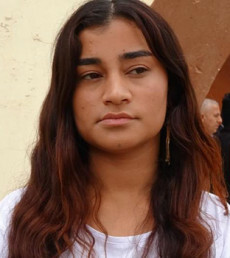 For Khame, the struggle to gain her freedom is much more important than freedom itself; therefore she didn’t give up until she escaped the hell of ISIS terrorist group. This Ezidi girl, after spending years far away from home, employed all the suffering and pain she went through to achieve her ambitions. Now, Khame has become a leading member of an Ezidi political party. “I want to serve the Ezidi people in every possible way. They turned their backs to the Ezidis; therefore for us fighting for freedom is more valuable than freedom itself”, she says. Khame Barakat is only 19. 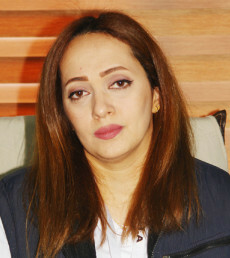 Last October, she was elected as deputy leader of the Ezidi Freedom and Democracy party (PADÊ), after winning a majority of the votes in the party’s general congress. “We will continue our struggle. 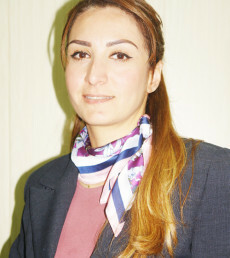 I want to defend the rights of Ezidis through political struggle”, Khame told (KirkukNow). In August 2014, in the wake of the advance of ISIS into the Ezidi town of Shingal, Khame along with her mother, her sister and two of her brothers fell into the militant group’s hands. After enduring three horrifying years in ISIS captivity, she managed to escape. The Ezidi minority were subjected to numerous atrocities at the hands of ISIS, including mass killings, abduction and sexual slavery. During the three years they spent in captivity, Khame and other Ezidi girls and young women were transferred from Shingal to Syria where they were also taken to different places, including Kobane, Hasaka, Aleppo and Der al-zur. At the start of this year, as military operations against ISIS intensified, particularly in Syrian territories, Khame’s chances of survival and freedom increased, especially after Syrian Democrat Forces (HASADA) attacked the area they were held in. “Fierce battles took erupted between ISIS militants and Syrian Democrat forces. I finally managed to escape. Later I gave myself up to (HASADA) forces, who took me back to Shingal”, Khame said. Khame was reunited with her family members who were also freed for ISIS captivity in Syria. After her survival, she started the process of recovering and embarking on a new life. “I wanted to forget the dark days I endured under ISIS and try to save Ezidi girls and women who are still suffering, so I chose to join a political party”, she added. 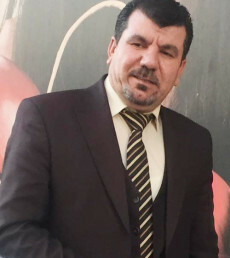 Just a few months after she joined the Ezidi Freedom and Democracy Party (PADÊ), on October 21, 2018, Khame was elected as deputy leader of the party. According to Kurdistan Regional Government (KRG) statistics an estimated 6 thousand Ezidis, mostly women, were mass abducted by ISIS. The fate of nearly half of them is still unknown.